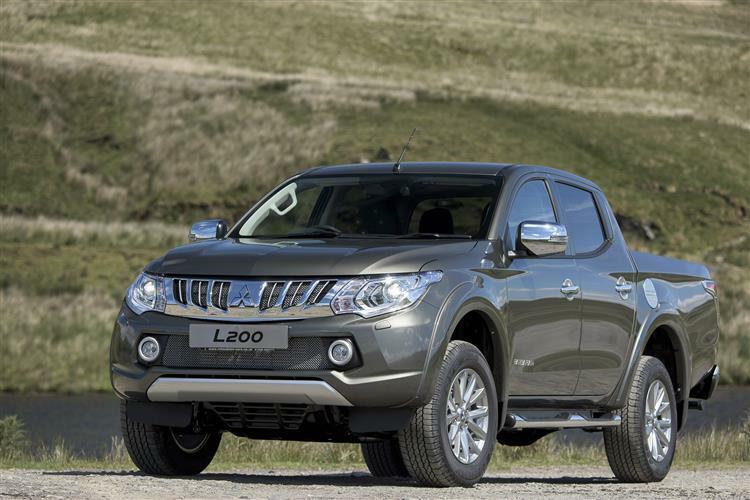 Mitsubishi has sold over 4.1 million L200 pick-up models since production started. In the current fifth generation model, which now has an enhanced 3.5-tonne towing capacity, they claim to have brought us the most advanced version of this model yet. 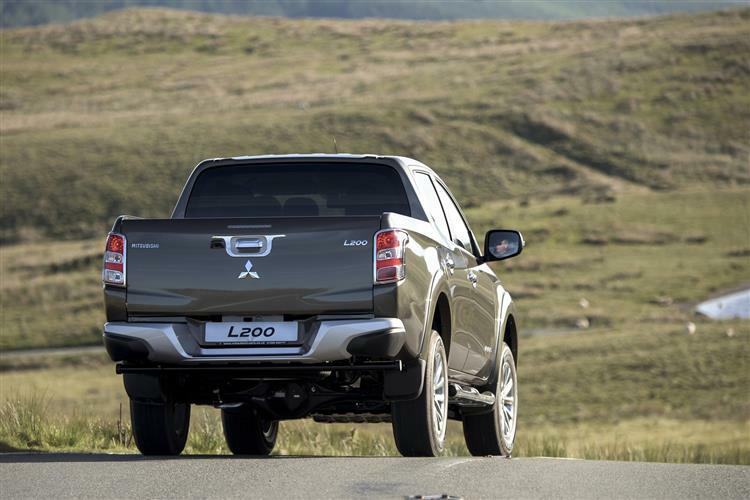 If you're buying a pick-up in the UK, then it's highly likely that you'll be looking at Mitsubishi's L200. This model has, after all, historically out-sold all its rivals. Its market leadership has much to do with the fact that this Japanese brand got its act together faster than other contenders in this sector, being the first back in the Nineties to recognise that pick-up ownership could be extended beyond farmers and jobbing builders into the SUV lifestyle segment. As a result, the original L200 model was allowed to take almost half the British market in this sector before its rivals caught up. These days, this vehicle is far more sophisticated - as it has to be in order to hold its own against a raft of tough rivals. This 'Series 5' version features a modern chassis and engine package that makes this much more accomplished vehicle. Torsional rigidity is very competitive, as is power and torque and more effort has been put into its on-road manners as well as its off-road ones. In short, the Japanese maker has drawn heavily on over four decades of experience in this segment. 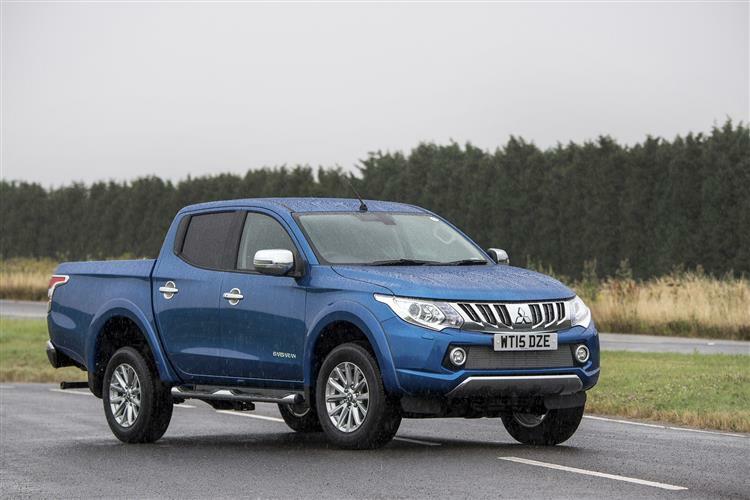 There's only so much you can do to make a pick-up enjoyable to drive but Mitsubishi has made more effort in this regard this time round, conscious that any L200 is likely to spend the majority of its time on tarmac. This Series 5 version's chassis is complemented by re-developed suspension, plus there are new shock absorbing body mounts, which absorb vibrations better than before and provide a quieter, more comfortable cabin. Thanks to the stiff chassis (shared with Fiat), handling is better than you might expect from a pick-up and body roll, usually something of a problem in vehicles with higher centres of gravity, should be kept to a minimum. The suspension set-up, which includes a large stabiliser bar and stiff front springs, should allow the L200 to handle and ride with reasonable comfort and agility. The engine should impress too. With 178bhp and 430Nm of torque on-tap, the 2.4-litre MIVEC turbodiesel unit provides this L200 with strong performance, the 0-62mph time rated at 10.4s. 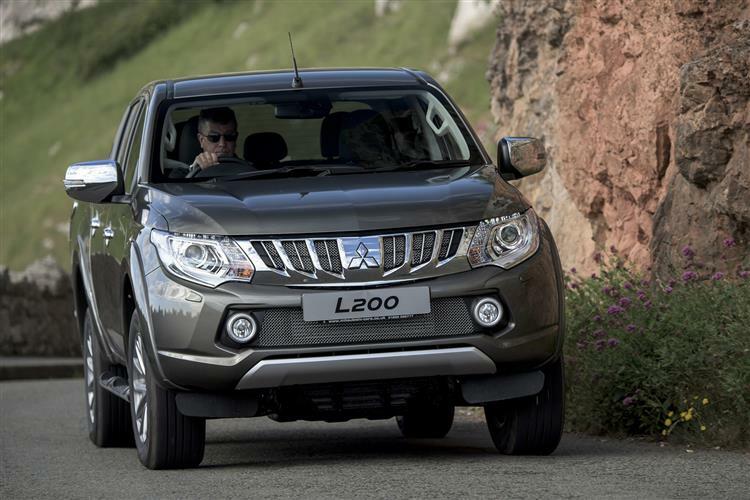 As before, the L200 can be driven in either 2WD or 4WD on tarmac or off road. 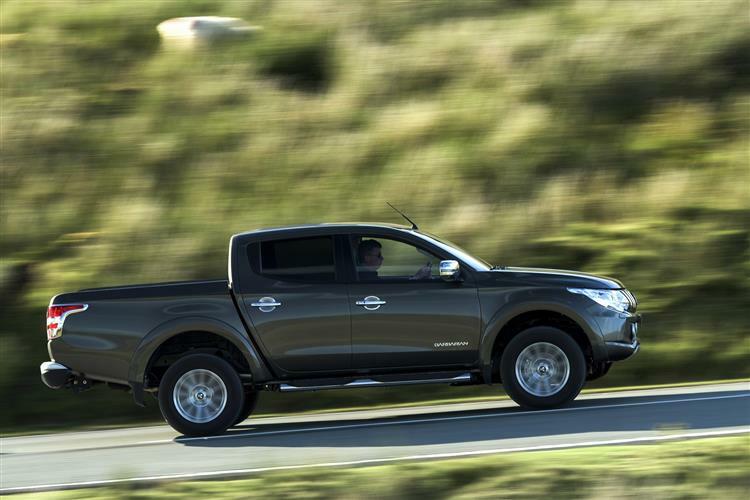 In addition, the L200 is the only pickup that can tow 3.5-tonnes on tarmac in four-wheel drive. The exterior design of this 'Series 5' L200 model hasn't changed hugely. More striking and vibrant exterior lines project a more commanding road presence and typical owners will like the muscular, planted stance. 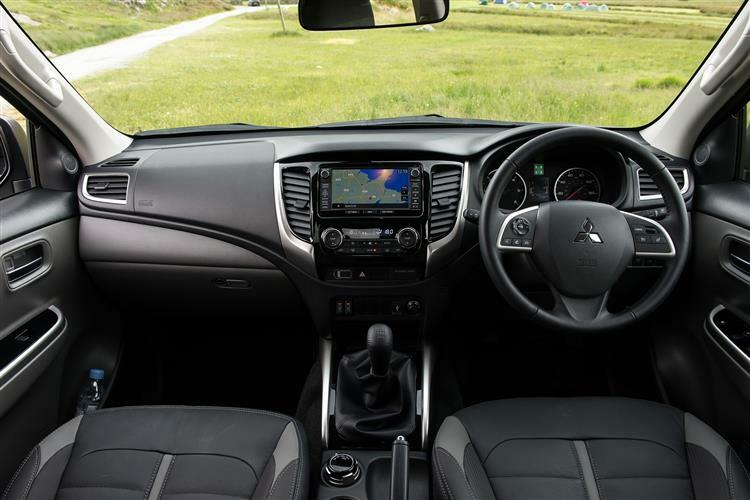 Mitsubishi says that this vehicle's 'athleticism' is expressed through sharp, muscular surfaces and a taut 'belt line'. It's certainly true that some style has been added to areas like the lights and the door handles to accentuate the sleeker body and prevent it from looking too workmanlike. 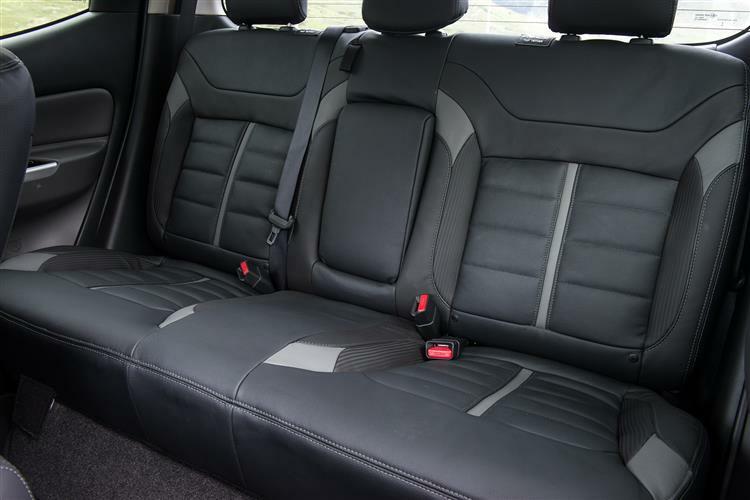 The interior too, looks more classy and car-like - and it's usefully more spacious too. Take a seat at the wheel and around you, you'll find a driver-centric dashboard that centres attention on the road and includes much of the kind of important equipment you'd expect to see in a premium car. 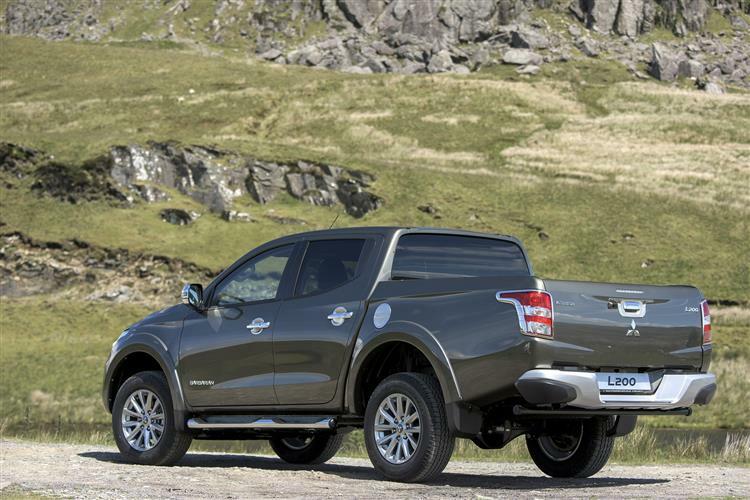 Most UK buyers will continue to want the Doublecab bodystyle with its rear seat. Here, as before, it's nothing like as comfortable as it is in the front, but thanks to the chassis and suspension changes too, it'll be far more comfortable to ride in this part of the car over bumpy roads. 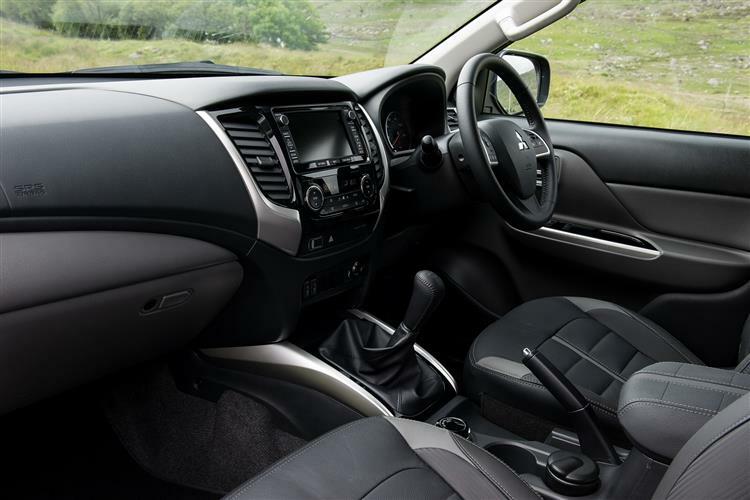 Mitsubishi have utilised high-tensile steel extensively in the design of this L200's cargo bed and this allows it to have the largest carrying capacity in the segment without an increase in overall size and weight. The new, lighter engine was the first with an all-aluminium design and features lighter weight and a low compression ratio for greater efficiency. As a result, Mitsubishi claims the L200 uses between 11 and 47% less fuel than some of its competitors suggesting that the combined cycle economy figure will be somewhere between 39mpg and 44mpg, depending on the variant you choose. The brand reckons this means that your L200 will be able to travel up to 685 miles on a single tank, which gives it the longest range in its class. 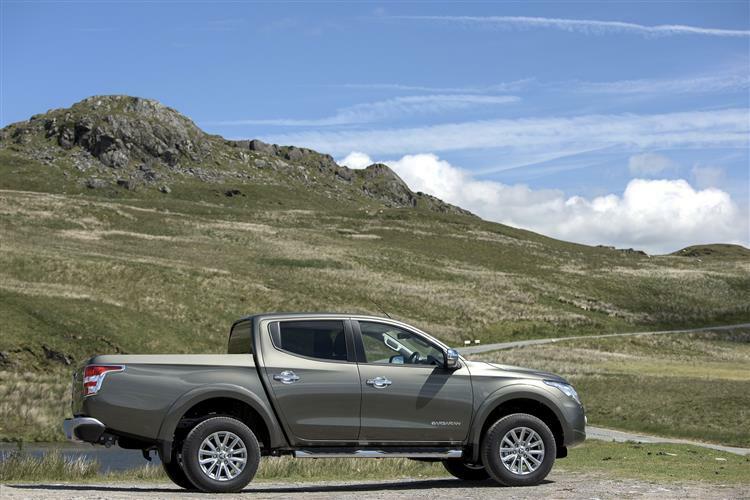 The 'Series 5' model has moved the L200 game on in all key areas; performance, towing ability, economy, emissions and carrying capacity. Of all the updates though, it's the improvements to driving dynamics that we reckon most potential owners will notice most. This vehicle was always good off road. On-tarmac though, like many pick-ups, it wasn't that easy to live with. This latest generation version is far better in this regard, offering less bodyroll, a more comfortable ride and better refinement. As a result, it's easier to envisage as an only car if you need a tough working vehicle for the week that can also transport the family around at weekends. True, an L200 isn't as affordable as it used to be - but many will feel that the Series 5 improvements make that a price worth paying. It's still the go-to choice if you're looking for a tough, well specified go-anywhere pick-up. No contract hire deals found. Please call us to discuss your requirements.